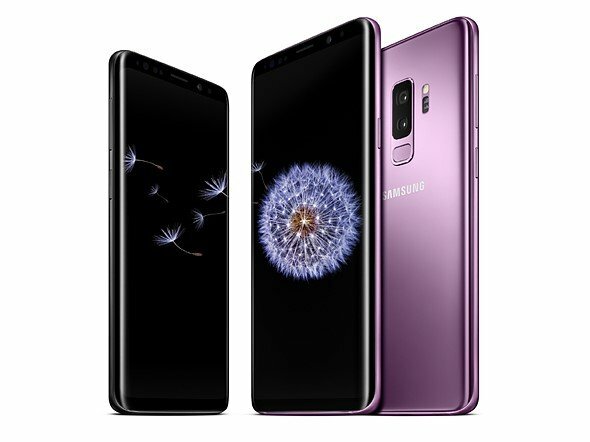 Samsung Galaxy S9 and S9plus got launched on 25th of February 2018. Lookswise it's similar to what Samsung Galaxy S8 looks. It's not redesigned but takes everything about the Galaxy S8 and even the things that were lacking and improves upon them in almost every possible way. 1 . It still has that beautiful 18:9 infinity display Galaxy S9 size is 5.8 inches whereas the Galaxy S9 plus is now 6.2 inches. 2 . Aside from screen size, the difference will be in RAM and battery life with S9 plus getting 6GB RAM instead of on 4GB on S9 and then with the battery life you are getting 3500mA on S9 plus versus 3000mA on S9. 3 . I'm sure some people will not be impressed by the battery but the new Galaxy S9 & S9 plus will be running on the new SnapDragon 845 which promises better performance with better efficiency translate to overall better battery life. 4 . The major changes will the dual cameras on the S9 plus with wide angle and telephoto lens versus the single shooter on the Galaxy S9, speaking of cameras both the S9 plus and the S9 have a really cool trick up it's sleeve "variable aperture". Imagine this is the camera on the both the S9 are going to react to light in a very similar way to how your eyes would you're outside where it's super bright effectively your eyes are letting less in and then you go inside where it's a little bit lower lighting situation and your eyes adjust and let more light in the same thing is happening here where the camera on the both the S9 will adjust and adapt and effectively switch the f-stop from F2.4 down to F1.5 which helps with low-light performance. 5 . The all new Samsung Galaxy S9 could record a super slow motion video up to 960FPS at 720p. The cool thing is the camera is smart enough to know and react when the motion happens without you need to guess or react when that's happening yourself. Simply press record and it will do the job. It also records video 240FPS at 1080p and 4k at 60FPS. So there is a ton of video options on the new Galaxy S9. 6 . The S9 is packed full of essentials like the headphone jack, microSD card expansion, Water and Dust resistant IP68, wireless charging, Quick charge 2.0 and USB Type C. These are not really a gamechanger but definitely comes handy for its all kinds of users out there. 7 . Samsung Galaxy S9 will launch with Android 8.0 Oreo. 8 . The S9 even get the front-facing stereo speakers and the Dolby Atmos support. 9 . Next up is the Samsung Bixby and it's better than ever now, it can translate signs or different languages in real time through the camera. 10 . The S9 also comes with improved Samsung Dex experience which helps you to turn ur smartphone into a desktop. You can place your Galaxy s9 on Samsung Dex and it lets you connect it to a monitor/display and use the smartphone as a mouse and keyboard as your control. This allows you not to carry your laptop for a meeting or a presentation and keep the things lightweight on your business trips. How cool is that? Do let me know in comments on what you guys think about the new Samsung Galaxy S9.